Originally from Upstate, New York (South of Rochester, NY), Yvonne has lived in Wisconsin, Arizona, and Colorado while also traveling throughout North America, Asia, and Europe during her many years with a Fortune 500 electronics distribution company. With 28+ years in sales, sales leadership and marketing positions, Yvonne decided to make her final move to Rotonda West, Florida, and fulfill a long term goal... more. by becoming a REALTOR®. Yvonne’s passion for real estate developed in her early years while serving as part Owner/General Contractor in Upstate, NY, building single family homes. Throughout her career she has also dealt with the real estate market on a personal level through buying, selling or building homes. Yvonne is focused on creating extraordinary and unique experiences for her buyers and sellers; with a collaborative approach that produces exceptional results. 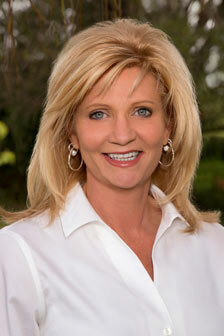 Yvonne lives with her husband, Brian, who shares and supports her passion for real estate. Together, their family includes three children, a daughter in-law, son in-law and two wonderful grandchildren. Yvonne’s son, James, has served in the United States Air Force since 2001. Outside of real estate, Yvonne has been a pilot for hot air balloons, enjoys horseback riding, motorcycling, skiing, snowmobiling, sailing competitively, camping with family and the absolute beauty of sunsets at the beach. ...less. After we sold and purchased homes with Yvonne, my husband said, " She's a fun realtor." I had more in mind than that. She goes above and beyond for all of her clients. She is an excellent communicator who is always looking out for your best interest. She is thorough and knowledgeable as well as aggressive when she needs to be. If she doesn't know, she'll find out. We couldn’t be happier with all the service she provided. A true professional in every sense. Check out her shoes too! When we sold our home and moved, Yvonne went above and beyond in every way. Her staging and marketing helped our home sell quickly. She also gave us a benchmark for choosing our new home that proved invaluable. All the details were handled flawlessly. Thank you making it easy and for the true adventure. Yvonne has more than surpassed my expectations as a representative of my interests and sale of my home! She has been both warm and personable as well as thourough and professional. She has gone over and above making this difficult time in my life just a little smoother. Thank you Yvonne!